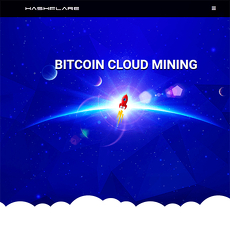 Hashnest has provided cloud mining services since 2014. They have a very professional website which is easy to navigate and user friendly. 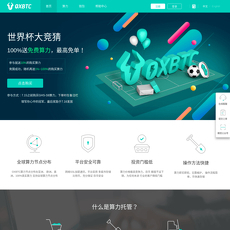 Their parent company is Bitmain, one of the largest bitcoin mining hardware suppliers in the world. 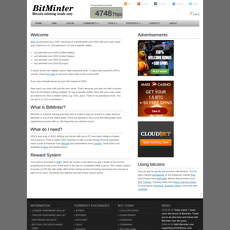 Bitmain currently produces the famous Antminer hardware that is used for Bitcoin mining across the globe. 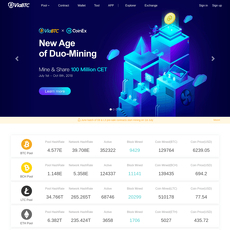 This lends Hashnest a lot of credibility as it is backed by one of the biggest companies in the crypto space. 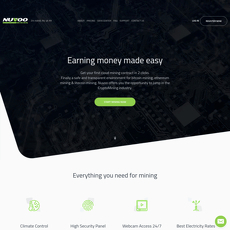 The cloud mining technology used by Hashnest is the Antminers created by Bitmain. 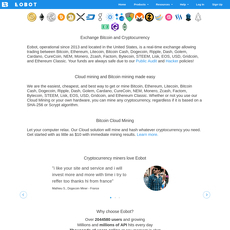 Users can purchase contracts to mine Bitcoin. When each block is found users will get a payout of Bitcoin in proportion to the hash power they purchased. No maintenance fees or electricity fees have to be paid. However, Hashnest will take some of the user's payout in order to pay back the mining contract. 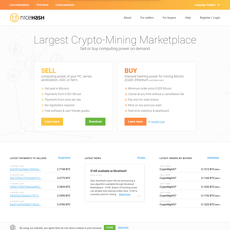 Hashnest also offers used mining equipment for users to purchase on the same website. 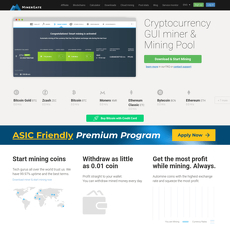 All Hashnest miners are by default sent to mine with AntPool. 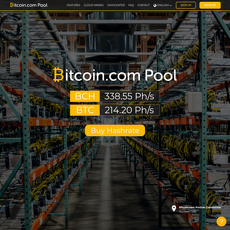 This pool is also owned by Bitmain. Users have the option to change the pool. 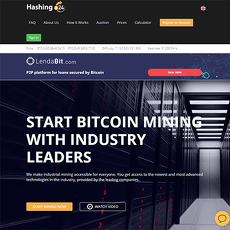 One unique feature that Hashnest offers to users is the buying and selling of mining contracts with other users. Hashnest does charge 0.15% transaction fee on each trade of a contract which is covered by the seller of the hash power. 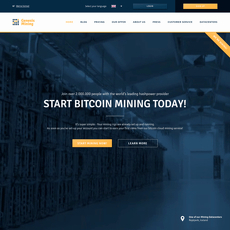 A reputable company backed by one of the largest Bitcoin mining companies in the world. 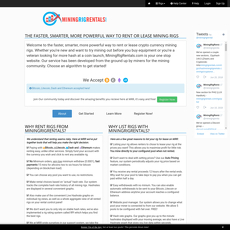 Opportunity to buy mining rigs. Only support Bitcoin mining, no options for altcoins. Contracts are quite complicated and the first payouts you get will be to repay the contract.